Packed house at the Haddon Heights Board of Education presentation on grade-level schools. Credit: Matt Skoufalos. 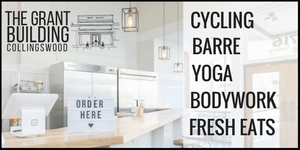 Mixed reactions to the proposal from the board and the public capped an evening in which both critiqued a lack of transparency and a surfeit of neighborhood gossip as much as the details of the plan. Haddon Heights Board of Education President Kimberly Stuart addresses the public. Credit: Matt Skoufalos. Change—or the prospect of it—is difficult to consider in any setting, let alone a public forum, much less one on public school policy. 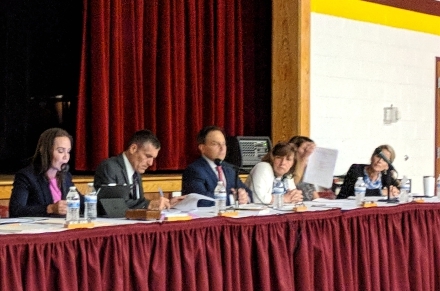 But the Haddon Heights Board of Education could have hoped for a smoother process when it convened to discuss the possible grade-level realignment of its elementary schools. The community, like most of its neighbors, is built around a trio of neighborhood schools that educate kindergarteners through sixth-graders. 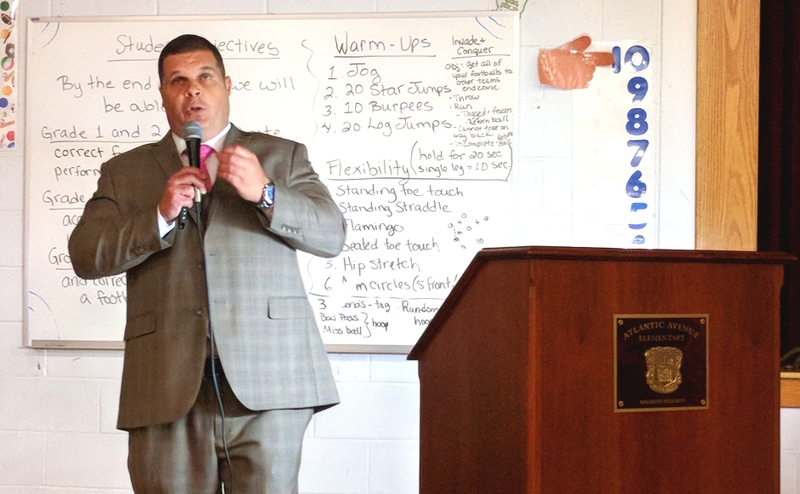 Switching that system to one that would group children by grade level offers a variety of benefits and challenges, according to a presentation by school Superintendent Mike Adams. On Tuesday night, however, it more immediately served up controversy for the packed gymnasium of borough residents at Atlantic Avenue School. 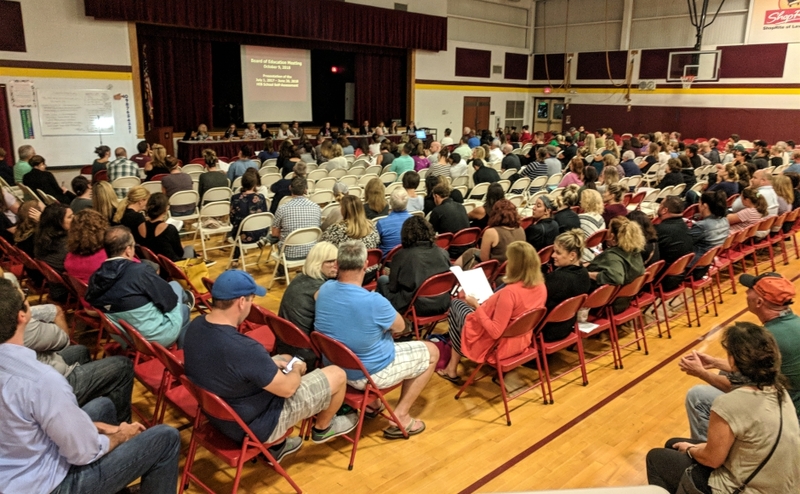 Board President Kim Stuart opened the proceedings lambasting district parents who “lobbied, campaigned, held closed-door private meetings, spread gossip throughout the community, and spread heinous rumors on social media” that the grade-level school proposal was a done deal. Haddon Heights Superintendent Mike Adams. Credit: Matt Skoufalos. “I feel like you were calling into question my or other board members’ credibility,” Lynch said. “I felt it was clearly laid out to me when I became a board member that I should speak only for myself and not for this board. “To enter into the conversation about grade-level schools that way, when this town was already, it feels like, ballistic about this issue…we need to, as a board, help this town work to repair trust in our district,” she concluded. Stuart responded that the uproar was the result of “people [who]took it upon themselves to share various pieces of information, and to make various representations to members of the public” that the realignment was a foregone conclusion. “This is not how we do things in this community, and it’s not okay,” she said. Board member Danielle McKelvey-Teti countered that none of the board had seen Adams’ presentation prior to the meeting. She suggested that public uproar around the issue was the result of unclear and insufficient communication from the governing body on the whole. Rather than introducing whole-cloth changes to the district for an issue by issue vote, Cicalese said the board does and ought to take its guidance from Adams. 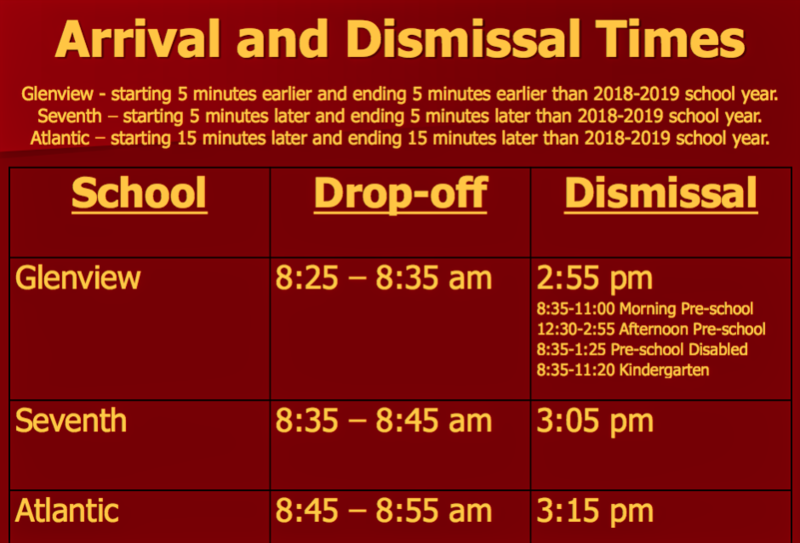 Schedule changes under proposed realignment of Haddon Heights schools along grade level. Credit: Matt Skoufalos. But Adams opened his presentation with far less conviction, tracing the impetus for the examination to feedback from elementary-school building principals, parents and community members, and school leadership teams. “This was not generated from the board,” Adams said. Instead, the superintendent identified the key concerns that grade-level elementary schools could resolve, including staffing issues, the delivery of special education and Response To Intervention (RTI) services, and district-wide cost controls. In the current model, all elementary-school students who receive special education services must travel to Glenview Avenue School for them; a grade-level alignment could provide those services at each building. Under a grade-level alignment, students receiving Tier III RTI—the most intensive interventions for kids with the most significant needs—could get those supports during the school day, Adams said. 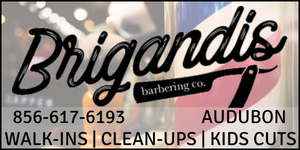 Currently, they only receive those services before or after the school day. “If nothing changes, Tier III students would have to get pulled out of regular instruction instead of getting before- or after-instruction,” he said. Under a grade-level alignment, the schools could provide a 30-minute RTI period as often as four to five days a week, Adams said. The move would also offer more options for grade-level student placement, differentiated instruction, as well as increased collaboration among teachers of the same grades. 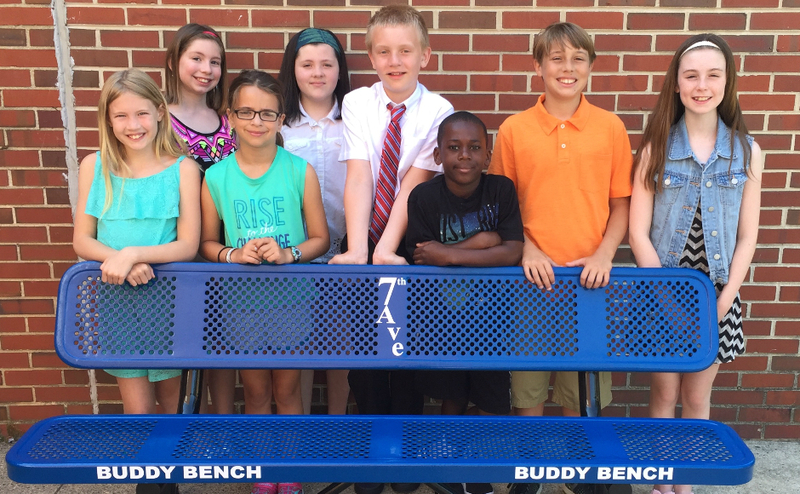 Seventh Ave. School Student Council poses with their Buddy Bench. Credit: Joe McAndrew. “Currently, teachers meet once a month,” Adams said. The proposed grade-level configuration would house all pre-K to second-grade students at Glenview Avenue School, which would start and end five minutes earlier than the current-year schedule. Seventh Avenue School would house third- and fourth-grade students, and classes would start and end five minutes later than they do in the current-year schedule. Atlantic Avenue School would house the district’s fifth- and sixth-grade students, and would start and end 15 minutes later than the current-year schedule. Enrollment levels would decrease at Glenview Avenue School, from 289 students to 262, while those at Atlantic Avenue School would climb from 148 to 162 students. 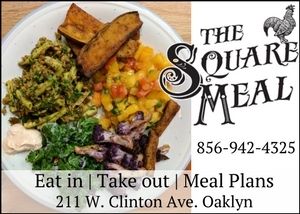 Seventh Avenue School would add two more kids, going from 133 to 135. However, the shift would build in capacity for growth throughout the district, opening up five classrooms for future needs. 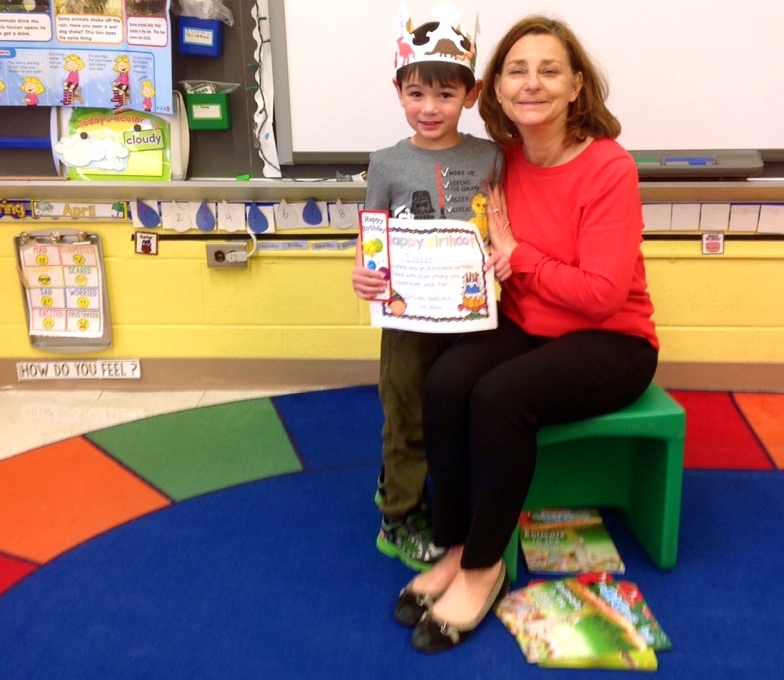 Lucas Walter and Haddon Heights schoolteacher Laura Goodfriend. Credit: Chris Walter. The biggest changes would come in the amount of staffing the district would require under a grade-level alignment versus the costs incurred by keeping the current layout. Currently, Haddon Heights is short 12 full-time and eight part-time teachers, most of them in special education, according to Adams’ presentation. A grade-level re-alignment would add a minimum of one full-time and one part-time teacher (an estimated $120,000 annually), plus outfit three more elementary-school classrooms to include bathrooms (a one-time cost of some $90,000). Other realignment models Adams presented would have added several hundred thousand dollars more of annual costs, as staffing needs at various districts would be less streamlined than in the grade-level model he presented. No additional bussing would be anticipated under a grade-level alignment, but Haddon Heights Police Chief Michael Scardino believes “traffic volume will be increased significantly,” according to a letter he sent the district. “Children will be less likely to walk to schools that are farther away from their homes, and families will have to drop children off at numerous schools,” Scardino wrote. “I feel that this would increase the existing high traffic level on school days. The chief said he’d recommend changing the traffic patterns around the schools to incorporate one-way streets, and staggering arrival and dismissal times to compensate. Adams’ presentation noted an anticipated 89 district families would be making multiple drop-offs and pick-ups under the grade-level alignment. Kate Linnehan addresses the Haddon Heights BOE. Credit: Matt Skoufalos. ‘An equity issue’ or ‘a loss of continuity’? Community feedback on the presentation was as mixed as the board reaction to the proposal. 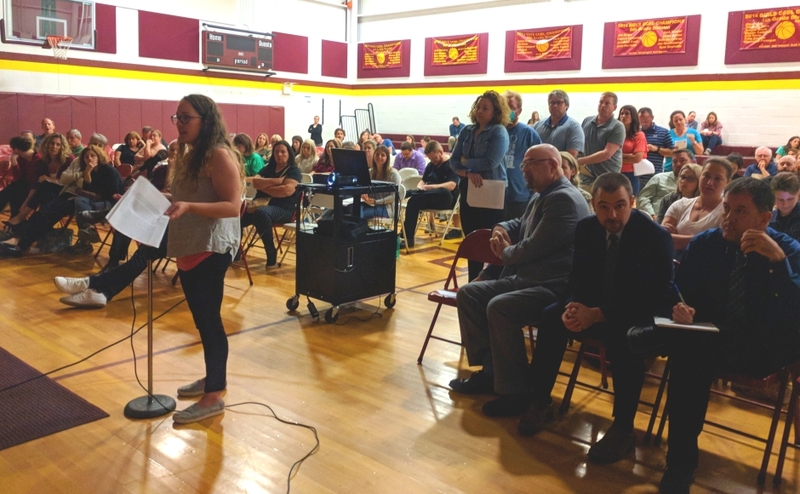 “Our elementary schools have an equity issue,” said Haddon Heights resident Kate Linnehan, an elementary school reading interventionalist in Harrison Township. 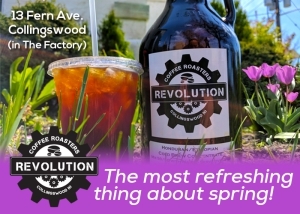 Linnehan criticized Haddon Heights for its delivery of RTI, which she said is provided as a replacement to grade-level education, instead of a supplement to it. “You’re calling what you’re currently doing RTI, but it’s not,” Linnehan said. “Your RTI model Tier II is two-to-three days per week, but they’re missing grade-level instruction. 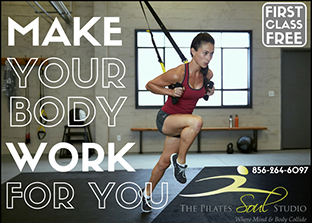 Tier III instruction is only being delivered before and after school, one or two days a week, and not with a certified instructor. “How do you expect our students with the widest achievement gaps to make the biggest gains?” she said. “You’re creating an equity problem for our struggling learners in Haddon Heights. Resident Nancy Oliver asked the board to “make the best instructional decisions for our students,” and push towards specialization among fifth- and sixth-grade teachers. Haddon Heights resident Derek Connelly addresses the district board of education. Credit: Matt Skoufalos. 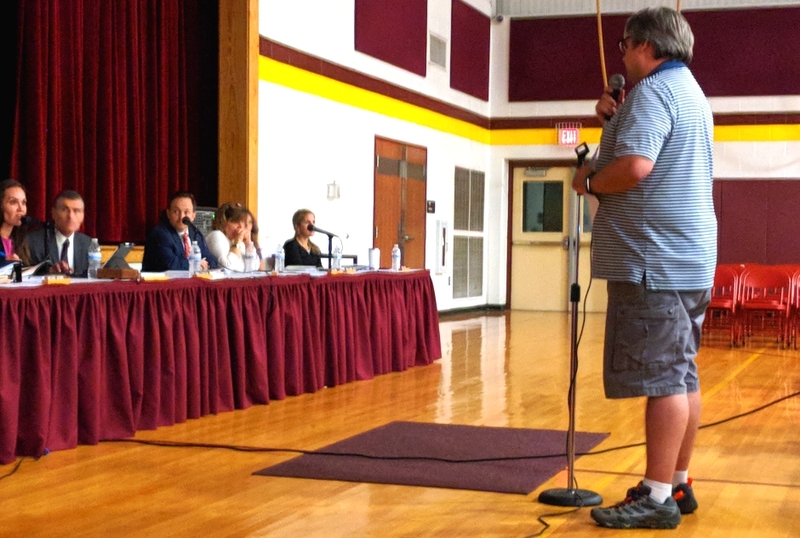 Resident Derek Connelly, feared quality of life changes in a grade-level school alignment. In remarks to the board, Connelly worried that children would suffer a “loss of continuity” and schools would “lose their sense of identity in the neighborhood” with the changes. “When they move to three schools, they’re going to feel like no school is their school,” Connelly said. “You can’t be involved with three schools the same way you’re involved with one school. 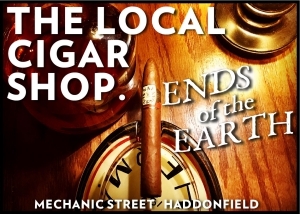 Perhaps the most measured reaction to the presentation came from board member Lisa Long, who noted that even in the current, neighborhood-school model, her three children had different experiences going to the same Haddon Heights elementary school. “No matter what form our district is ultimately in, what they talked a lot about were their experiences making friends,” Long said. “The teachers they remember from elementary school through high school that made an impact.